Teach during the school year and earn your master's in the summer! Loyola University Maryland’s partnership with the Houston Montessori Institute provides students with the opportunity to complete a Master of Education (MEd) degree in conjunction with their AMI diploma. If accepted into the graduate school at Loyola, students earn 27 credits through the completion of their Primary, Elementary, or A-to-I AMI diplomas. The final 9 credits are completed in a four-week intensive experience in residence at Loyola University Maryland’s Evergreen Campus in Baltimore. 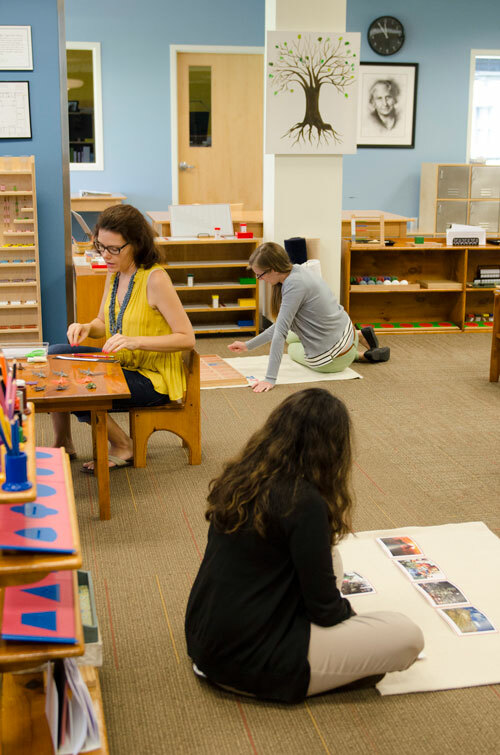 Loyola University Maryland has been working with Montessori teachers for over 25 years. Our graduates are teachers, trainers, specialists, consultants, researchers, and administrators who make tremendous contributions to the Montessori movement around the world. For more information about admission requirements and application deadlines, please visit www.loyola.edu/montessori and select the “Off-Site Partner” link under Program Options, or Attend a Virtual Information Session.